It was Saber’s site What’s Up With That?!? and a few of her posts that had me interested in the hidden facts behind everyday things. Not wanting to blatantly steal her ideas, I decided to concentrate solely on the things that interest me. That would include mostly movies and television. For instance, did you know that two of the most quoted lines from cinema are misquoted? Today’s little known fact comes from Star Trek coincidentally. I’m going to take a leap of faith and assume anyone reading this post has seen Air Force One. Supposedly their is an escape pod for the President in case of emergency. It turns out that Galaxy Class and Sovereign Class Federation ships also have something similar to an escape pod. It is called the Captain’s Yacht and it is directly below the main bridge on the very bottom of the saucer section. Conflicting information suggests it was not meant for escape for the vessel’s captain but for diplomatic envoys, such as the transportation of dignitaries and ambassadors. 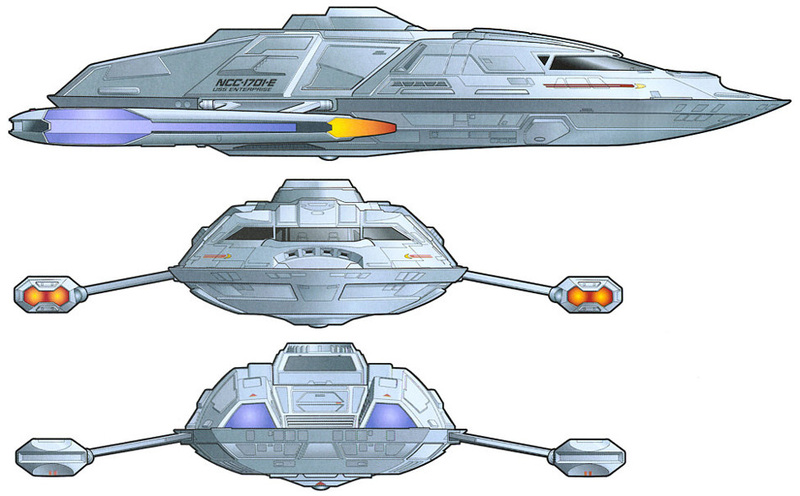 Although the design schematics for the Federation vessels clearly show the Captain’s Yacht, they were never shown on the series or movies and never mentioned either. Patrick Stewart said the name of his yacht was The Calypso. On The Enterprise-E, (Star Trek: Insurrection) it was The Cousteau. I’m not one who likes to spend lots of time doing research so don’t expect these Little Known Facts often. Only when my spirit moves me. Tomorrow’s guest blogger is Ava Aston. I hope you had the time this week to visit Ava’s blog, Recording Artist Ava Aston’s Blog. If not I would advise you to do so to get you even more excited about her post tomorrow. She is an amazing blogger and a great singer. I hope in addition to reading her blog you have the chance to listen to some of her songs on YouTube! You are currently browsing the archives for the Television Show Made Into Movies category.